This proposal is part of our larger investigation that seeks to develop “rational” (or “scientific”) principles to enable practitioners (visual artists, designers, engineers and scientists) to better understand and inform the design (and eventual evaluation) of visual digital media: data-driven visualizations, animations, pictures and diagrams. Such principles could enable the integration (and reconciliation) of conventions developed by artists, designers, scientists and engineers with findings from the science of perception and cognition (and the social sciences more generally). 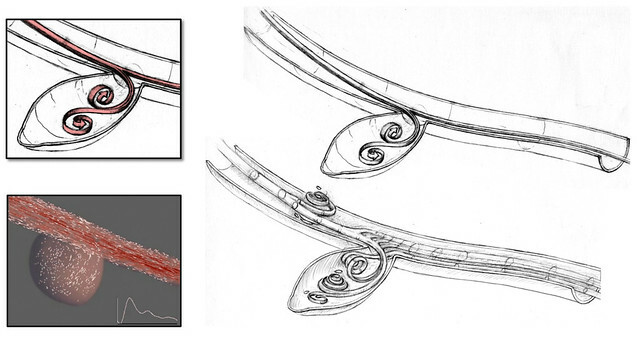 Flow visualization is used in many critical industrial domains, such as aerospace and automotive, weather and the environment, and in the medical sciences. 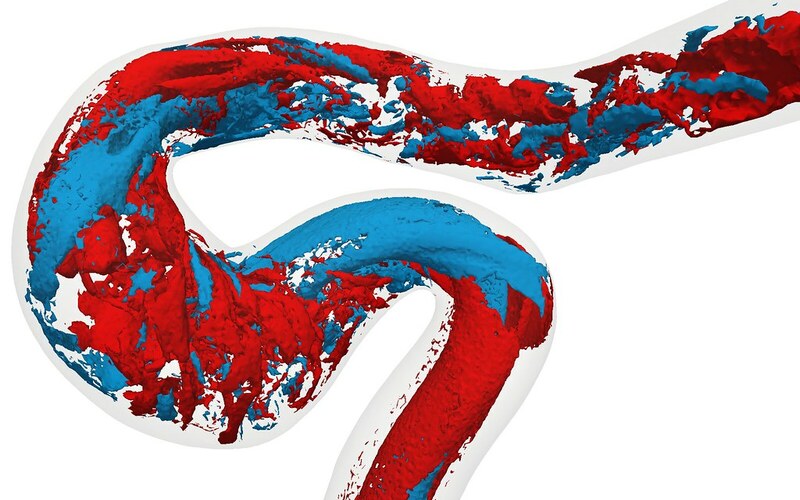 A major problem is that flow visualizations, originally developed by engineers for engineers, tend to be rich in superfluous detail, whereas recent investigations have suggested that perception of the gross flow structures would be adequate, and perhaps even more effective. Decades of engineering research have highlighted the central role of “disturbed” blood flow patterns in the development of treatment for the vascular diseases that cause most heart attacks and strokes, yet this knowledge is still not routinely used by doctors. The way information is presented to a doctor plays a direct role in the effectiveness of their decision-making, and so the absence of effective and simple visualizations of blood flow is a barrier to their introduction to the clinic. 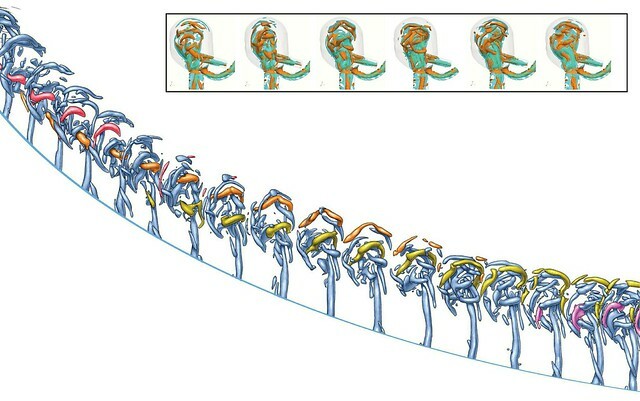 Traditional visualizations from computational fluid dynamics (CFD) simulations, provide rich detail, yet sketches, outline drawings, and even caricatures, have enabled responses with greater speed and accuracy. If these are more effective, which details should be eliminated, and which should be “amplified” or “caricatured”? With caricature, an author/artist eliminates irrelevant details, thus amplifying relevant details. 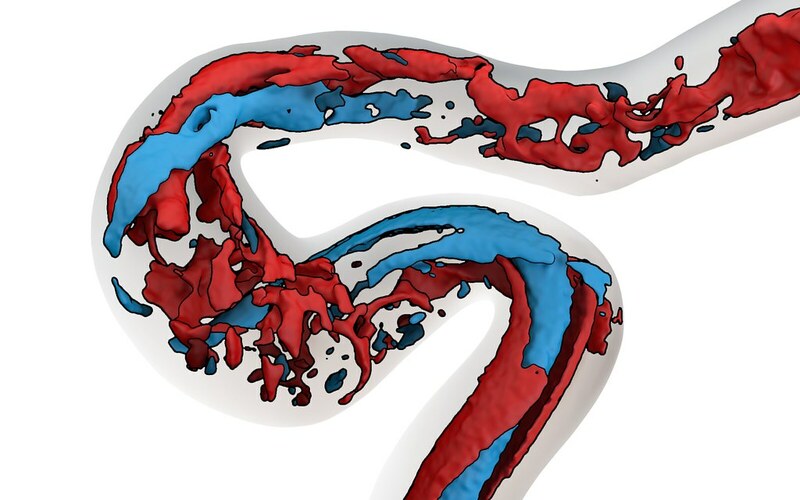 A caricature of Prime Minister Stephen Harper could be thought of as “looking more like Harper than Harper.” In fluid flow visualizations, what details are irrelevant and relevant? Perceptual science suggests a way to identify irrelevant details. An organism’s perceptual system is induced when it picks up stimuli produced by environmental change and variation. We will develop ways to eliminate unchanging and unvarying details from our flow visualization. By emphasizing changing elements, we hope to visualize the “essence” of the flow visualization. 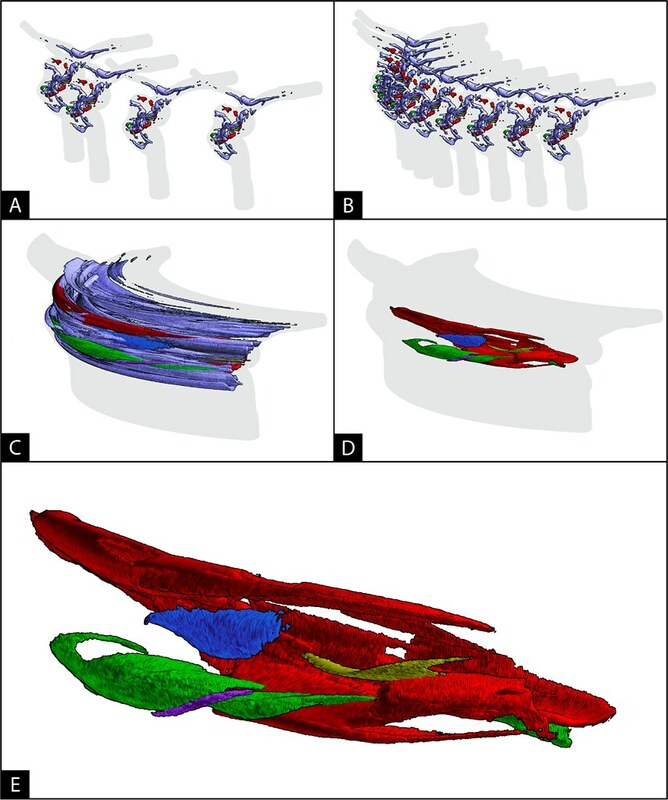 Max Julian developed an automated approach to producing 4D flow visualizations based on the prototype created by Coppin and Harvey.